LaPrincess Brewer, M.D., explaining heart health to a community member, using a hands-on model. Dr. Brewer receives a demonstration of the app from David Derby, senior innovation project manager, Mayo Clinic Kern Center for the Science of Health Care Delivery. 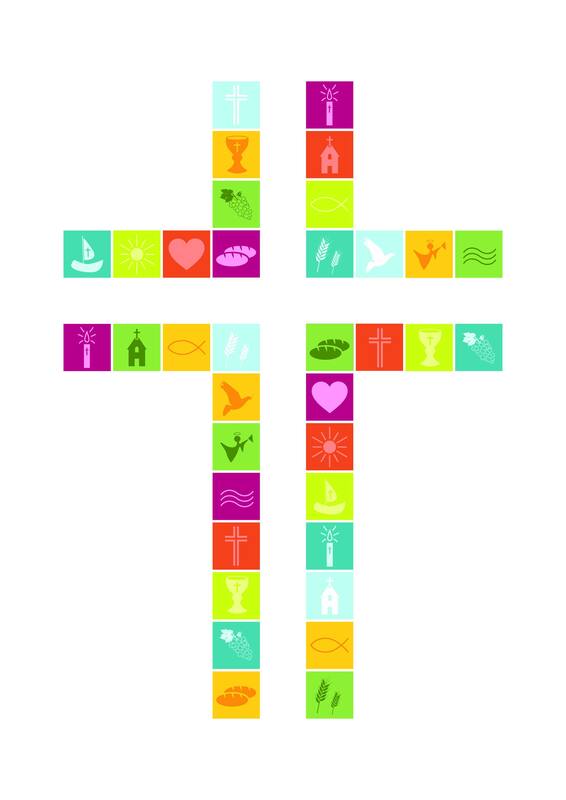 Members of five African American church communities in Rochester, Minn., and the Minneapolis-St. Paul metro area, helped develop the app. The researchers then enrolled 50 African American adults in a 10-week study that included podcasts and multimedia educational modules on the app. Though the study was small in size, the intervention resulted in “several objectively measured positive outcomes for cardiovascular health,” according to the study, which was published online in March in the Journal of General Internal Medicine. 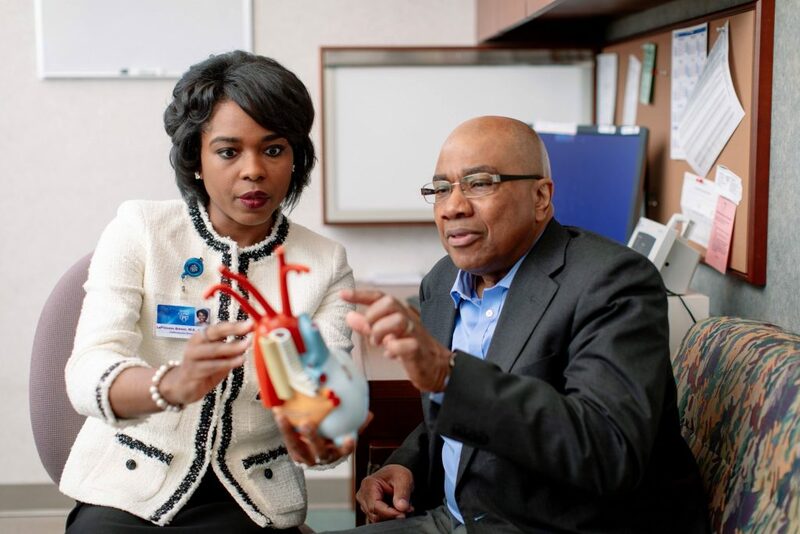 “This project was unique in that we used an unconventional app to develop a community-based health intervention — and we developed our intervention in partnership with the community,” says LaPrincess Brewer, M.D., a cardiologist in Mayo Clinic’s Department of Cardiovascular Medicine. “The power and innovation of mobile health” was evident in the community engagement and outcome from this research prototype, says Dr. Brewer, the study’s first author. Participants “found it to be fun and engaging,” as well as contributing in measurable ways to their wellness. The mHealth study was part of an innovative Mayo Clinic program called Fostering African-American Improvement in Total Health (FAITH), a participatory research effort aimed at preventing heart disease in underserved communities. According to the American Heart Association, African Americans are significantly less likely than whites to meet five or more of seven factors that affect cardiovascular health. Those factors, which the association calls Life’s Simple 7 — diet, physical activity, smoking, body mass index, blood pressure, total cholesterol and fasting glucose — were used to assess the participants’ progress. The study was conducted from October to December 2016, with follow-up assessments 28 weeks later. The study showed improvement in the biological measures, including blood pressure and total cholesterol, with significant improvement in the composite average for all seven factors. 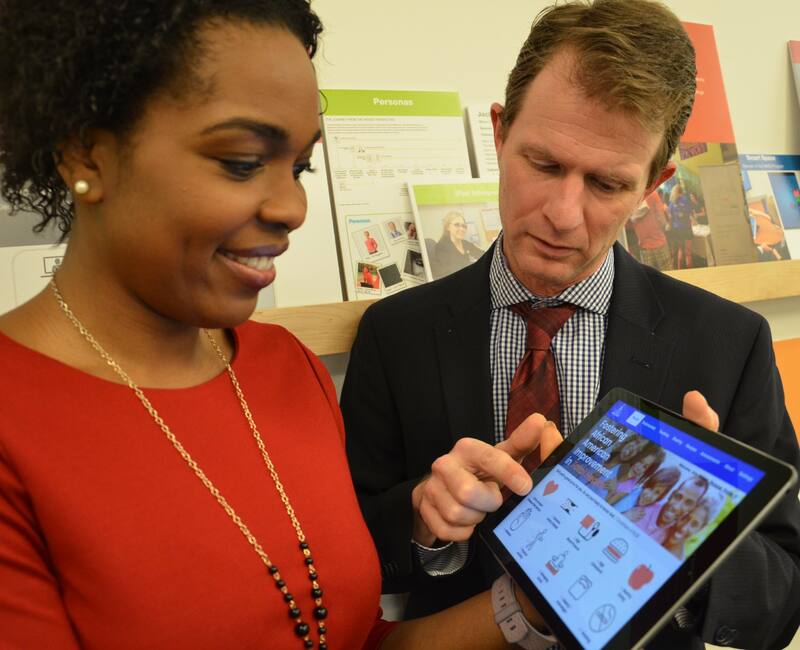 “Our intervention, although a research prototype, offers an innovative medium to engage African American patients beyond office-based encounters through mobile technology with an overarching goal of diminishing cardiovascular disease risk and mortality,” the report says. The research is part of Mayo Clinic’s commitment to community-based participatory research that addresses health disparities. Coordinated by the Office of Health Disparities Research, similar collaborations with faith-based communities have been undertaken in Arizona and Florida. Dr. Brewer’s work is supported by a grant from the National Institutes of Health and the Mayo Clinic Women’s Health Clinic. The study also was supported by the Mayo Clinic Robert D. and Patricia E. Kern Center for the Science of Health Care Delivery, Center for Clinical and Translational Science, Department of Cardiovascular Medicine and Office of Health Disparities Research. Staff in Mayo Clinic’s Center for Multiple Sclerosis and Autoimmune Neurology are researching how the immune system can target the nervous system, and more importantly for patients, how to treat it. Shuronda Hester had just started college and was looking forward to a new chapter in her young life when mysterious and frightening symptoms derailed her plans. Shuronda began having seizures and becoming “increasingly confused, at one point asking for her great-grandmother who passed away eight years ago,” reports First Coast News. Three trips to a hospital in Tallahassee left her without answers — or treatment. When Shuronda’s personality began to change, her mother, Tameka Lewis, brought her to Mayo Clinic’s Florida campus. “Had she stayed in Tallahassee, with the way that her behavior was, she would have been admitted into a psych ward and not gotten the proper treatment that she actually needed,” Tameka tells the station. In another part of the country, Denise Krivach was also looking forward to a new chapter. She’d recently retired and was making plans to build a home in Montana. But then she started forgetting things. “I couldn’t find my socks — I couldn’t find anything,” Denise, a former radiologist, tells the Rochester Post-Bulletin. “‘This isn’t me,’ that’s what I kept saying — ‘this isn’t me,'” she tells the paper. Doctors in Montana diagnosed her with early onset dementia. But Denise didn’t think the diagnosis fit. “The only thought I could hold onto was, ‘there’s something wrong, and I have to get this fixed. '” She headed to Mayo Clinic’s Rochester campus for another opinion. The idea that the immune system could affect the brain is a fairly new one, another Post-Bulletin story reports. But not quite so new at Mayo Clinic, where the country’s first Autoimmune Neurology Clinic was established in 2006. Today, staff at the expanded Center for Multiple Sclerosis and Autoimmune Neurology at Mayo Clinic are working to learn more about the ways the immune system can target the nervous system — and how to treat it when it does. 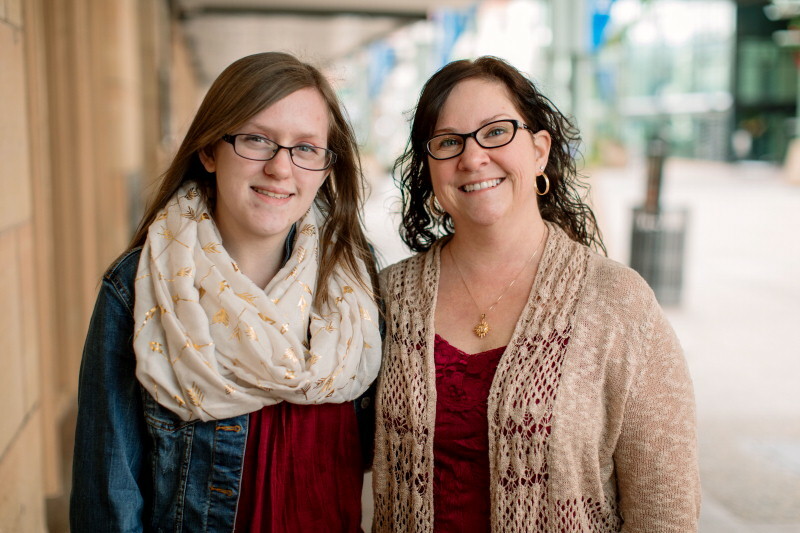 For Shuronda and Denise, the encephalitis diagnosis marked a turning point. They had answers and, importantly, a path for moving forward. The diagnosis gave Denise “treatment options that not only stopped her cognitive decline but reversed it,” the Post-Bulletin reports. Though she has some lingering issues, she tells the publication that she’s “so, so, so much better,” and is again thinking about building home in Montana, a dream that at one point had begun to seem out of reach. Shuronda also responded to treatment and has been able to continue her studies. “No matter what happened or what was thrown her way, she persevered,” Shuronda’s mother tells First Coast News. “She’s determined, and she has goals. She knows what she wants.” And what she wants may lead her back to Mayo Clinic — but this time, as a nurse instead of a patient. This article originally appeared on Mayo’s In the Loop blog. With help from the Center for Individualized Medicine, Mayo Clinic uses a precision-medicine approach to manage short telomere syndromes. Mayo’s Premyeloid & Bone Failure Disorder Clinic provides diagnostic testing, multidisciplinary treatment and genetic counseling for short telomere syndromes. “Short telomere syndromes have been recognized for several decades. But diagnosis has been very difficult because it requires highly specialized testing. 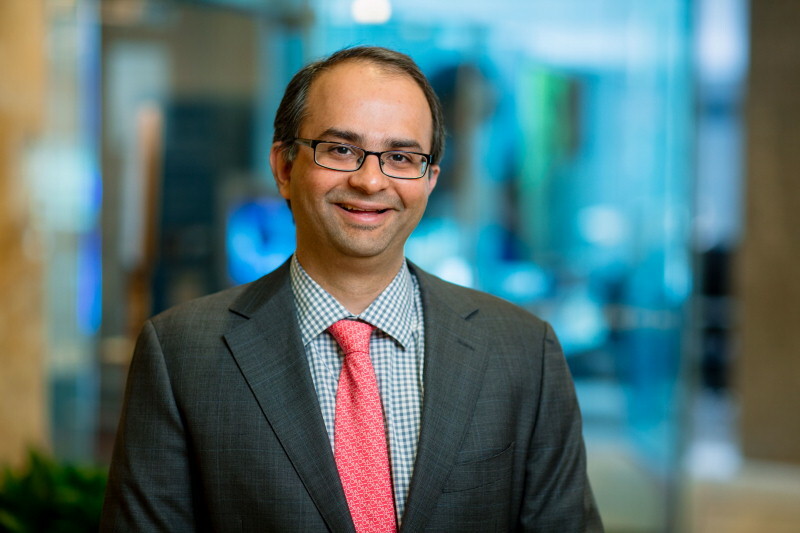 With the advent of precision genomics, we have the opportunity to identify and manage these disorders, for the benefit of patients,” says Mrinal Patnaik, M.B.B.S., a hematologist who directs the premyeloid disorder clinic. Although short telomere syndromes are considered rare, Mayo Clinic sees five to seven people with the disorders a month. “We think short telomeres are much more common than has been reported, and anticipate that these new precision-medicine tools will bring a fair number of cases to light,” Dr. Patnaik says. The 2009 Nobel Prize in medicine was awarded for discoveries about what the Nobel committee called “the mysterious telomere.” Short telomeres affect parts of the body where stem cells actively divide, including bone marrow, skin and the tissues lining the lungs and digestive tract. “These stem cells rely on telomeres to keep their integrity. Short telomeres cause the stem cells to prematurely die,” Dr. Patnaik says. If short telomere syndrome is suspected, Mayo Clinic can arrange for sophisticated testing that measures the length of telomeres in an individual’s blood cells. Once short telomeres are identified, Mayo Clinic has a genetic sequencing panel to help find the mutation causing short telomeres. If genetic sequencing doesn’t uncover a mutation, whole exome sequencing—which looks at all disease-causing genes in an individual’s DNA blueprint—can be performed. “Unfortunately, while we increasingly understand the genetics and consequences of short telomeres, much work remains to be done with regards to effective treatment modalities,” Dr. Patnaik says. Tue, Mar 26 6:00am · Buh-Bye, Breast Cancer? Can breast cancer be prevented with a vaccine? Keith Knutson, Ph.D., Department of Immunology and director of the Discovery and Translation Labs Cancer Program at Mayo Clinic in Florida, thinks so. And he thinks it will happen during his lifetime. In collaboration with the National Breast Treatment Coalition, Dr. Knutson has developed a vaccine that could prevent all three subtypes of the disease — estrogen receptor (ER)-positive, HER2-positive and triple-negative. The vaccine targets six proteins (HER2-neu, mammaglobin-A, MAGEA3, survivin, hTERT and MUC1) that have been found through multiple studies to overexpress in breast cancers. The new vaccine is a fundamental shift from how vaccines traditionally prevent infectious disease. Rather than use a virus, bacteria or their components, Dr. Knutson’s vaccine immunizes against proteins that are encoded in a patient’s DNA. A phase II trial, likely to begin in 2020, will focus on patients who are at high risk for breast cancer. Dr. Knutson estimates it will take five to 10 years to determine if the vaccine reduced incidence of breast cancer in the high-risk population. A phase III trial would involve 100,000 women across multiple centers. 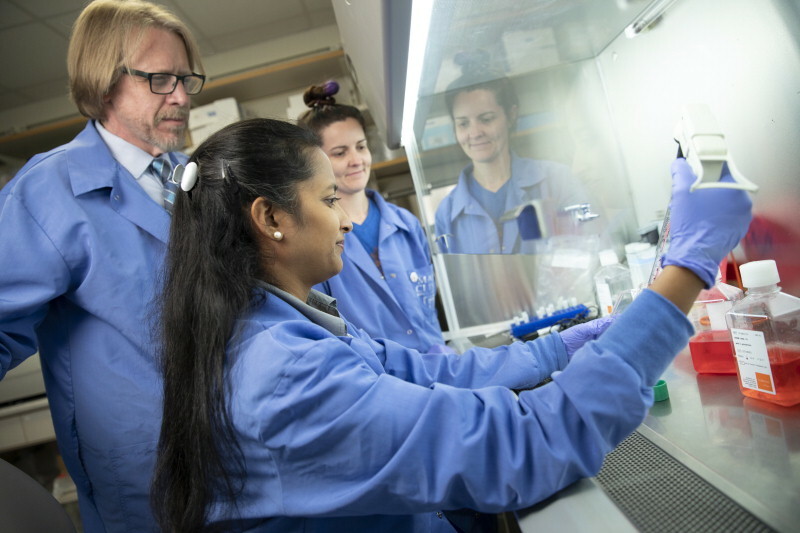 Keith Knutson, Ph.D., with team members Emilie Perkerson, a research technologist, and Geraldine Vidhy Raja, Ph.D., a research fellow. Is it possible to prevent recurrence of breast cancer by stimulating the immune system? Dr. Knutson thinks so. He has three vaccines in clinical trials to reduce mortality from breast cancer in the absence of a primary preventive vaccine. “We know the immune system protects against cancer. People who have higher levels of immunity to cancer have better outcomes,” he says. “We’re working on ways to safely boost these protective responses because current drug treatments for cancer are highly toxic. Vaccines, however, are not toxic. who have triple-negative breast cancer. and ovarian cancer since 2012. 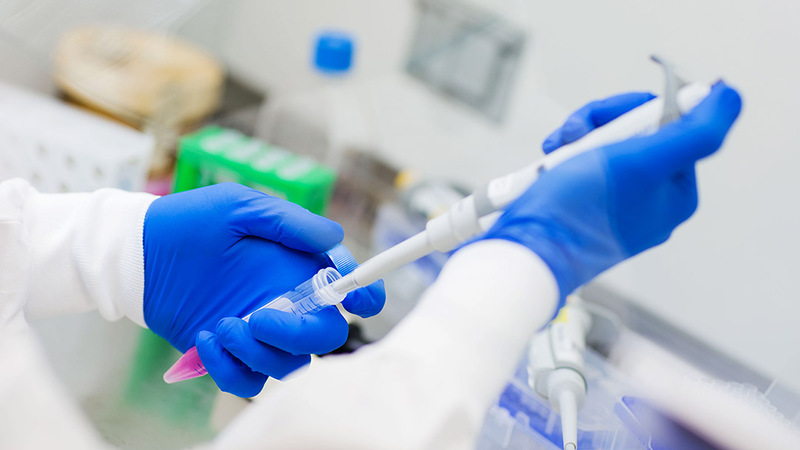 “After these patients have completed surgery and chemotherapy, we target the regions of the folate receptor alpha protein that are abnormally expressed in triple-negative cancer,” says Dr. Knutson. “We do this by immunizing patients six times over six months. Ideally, patients will develop an immune response. Then, every six to 12 months, we will give them booster shots. Dr. Knutson has begun a phase II clinical trial of 280 patients across Mayo Clinic locations and seven other centers. He and his team will follow patients for two to three years, examining how quickly patients develop an immune response, what the response looks like and whether the vaccine has an effect on disease recurrence. Dr. Knutson’s work in this area is supported by a $13.3 million, five-year Breakthrough Award from the Department of Defense. Only about 35 percent of ductal carcinoma in situ (DCIS) lesions morph into cancer, but physicians can’t identify which lesions are potentially dangerous. 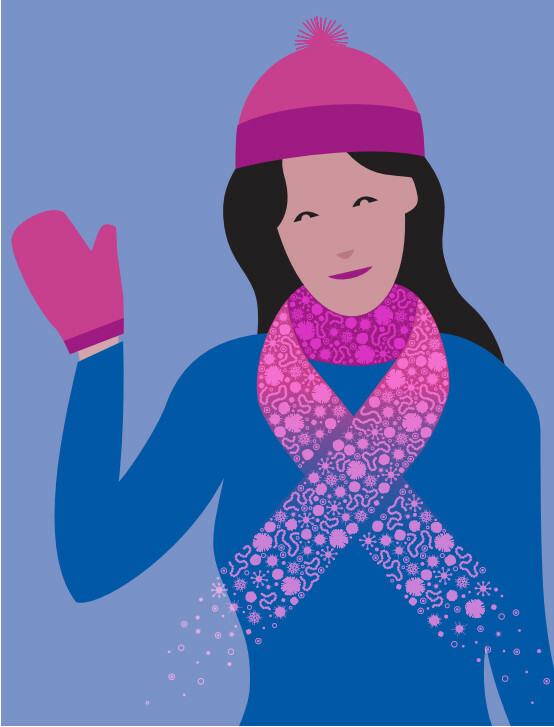 So the 60,000 cases of noninvasive DCIS in the U.S. each year are treated with typical breast cancer therapies including surgery, radiation and hormone therapy. Dr. Knutson has developed a vaccine that aims to treat DCIS patients before other therapies commence to generate a fast immune response and shrink tumors. Patients would be immunized four times per week for two weeks. If successful, the vaccine could eliminate the need for surgery, radiation therapy and long-term use of hormone therapies. Dr. Knutson’s phase I vaccine trial recently began enrolling patients. He hopes this vaccine will become part of a routine immunization schedule to prevent DCIS altogether. Dr. Knutson’s work in this area is supported by a $3.7 million grant from the Department of Defense. Dr. Knutson recently received funding for a phase II clinical trial for a vaccine to treat HER2-neu breast cancer, which accounts for 15 to 20 percent of breast cancers. Patients will be immunized after completing treatment with surgery and chemotherapy. The vaccine will boost patients’ immune systems, and researchers will follow them to monitor for immune response and cancer recurrence. Dr. Knutson anticipates the trial will begin enrolling its 190 patients next fall. Dr. Knutson’s work in this area is supported by an $11 million, four-year Breakthrough Award from the Department of Defense. Dr. Knutson also has developed two vaccines to boost the immune system and prevent recurrence of ovarian cancer. In a recently completed phase I trial funded by the Mayo Clinic Cancer Center, 40 percent of ovarian cancer patients in the trial have not relapsed with three years of data. Typically, 85 percent of ovarian cancer patients relapse after treatment. The team is hoping to develop a phase II trial. This article was originally published in Mayo Clinic’s Alumni Magazine, Issue 4, 2018. 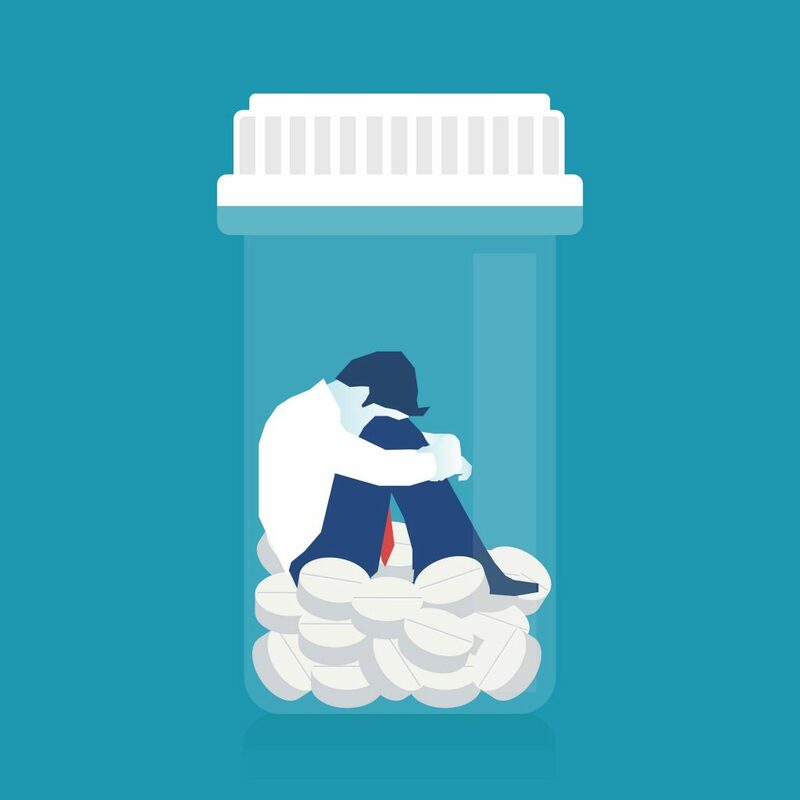 Children living in homes where a parent is abusing opioids are clearly impacted, in immediate ways and in ways that may change the trajectory of their lives. Those impacts, however – including the effects on the parent-child relationship – rarely have been studied in depth. It’s a surprising gap in research, considering that between 2009 and 2014 nearly 3 percent of children 17 and under in the U.S. lived in homes where at least one parent has a substance use disorder. With an estimated 464,000 children under the age of 2 being cared for by at least one parent with a substance use disorder, it’s a public health issue that needs to be better understood and addressed. 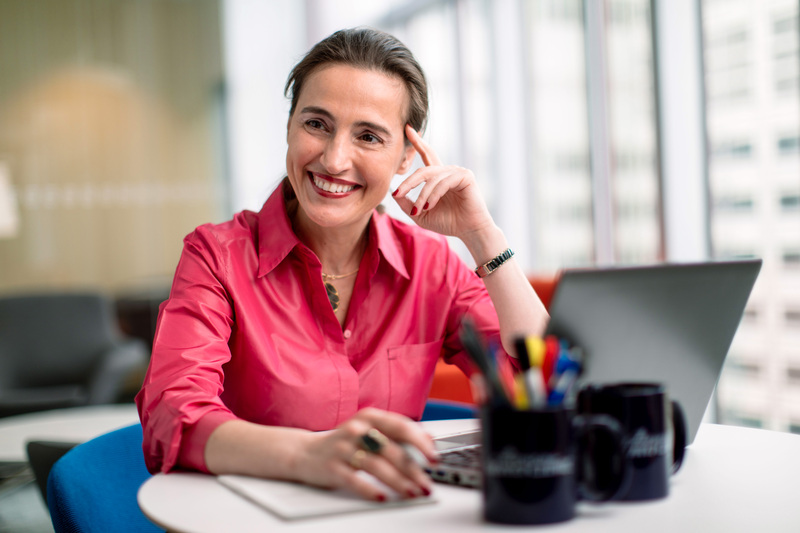 Mayo researchers — ­led by Magdalena Romanowicz, M.D. and Kathryn Schak, M.D. — wanted to determine what research has been done on the effects of parental opioid use. They conducted an exhaustive review of studies published over a 38-year period, from 1980 through February 2018. The results were recently published in Child and Adolescent Psychiatry and Mental Health, the official journal of the International Association for Child and Adolescent Psychiatry and Allied Professions. Their team examined reports on just over 300 studies that reviewed effects of parental opioid addiction and its impacts, but after narrowing the criteria, only 12 had a primary focus on the parent-child relationship and on children’s outcomes. Most of the research was dated and involved a small number of participants. Based on the relevant studies, the Mayo review concludes that observations of mothers with opioid use disorders were “irritable, ambivalent and disinterested, while showing greater difficulty interpreting children’s cues, compared with the control group.” Children were observed to be more avoidant, with greater disorganized attachment, and had increased risk of emotional and behavioral issues, poor academic performance and poor social skills. Younger children were at increased risk of abuse or neglect or both, which may lead to difficulties such as substance abuse later in life, according to the Mayo review. Even with the limited studies to date, “current evidence shows association between parental opioid addiction and poorer mother-child attachment and suboptimal child developmental and behavioral outcomes,” the Mayo report says. “To date, there have not been many studies done on this issue. One reason for this has to do with the complexity of studying the impacts of substance abuse. Most people don’t use one substance alone. Rather, they use multiple substances such as heroin, alcohol and marijuana, for example,” she says. Dr. Romanowicz said Mayo researchers are in the final stages of another study that analyzes associations between immediate medical complications for newborns of women who used opioids during pregnancy and the long-term consequences. “Considering that almost half of the people struggling with opioid use disorder are women of childbearing age, such studies are very important,” she says. Kayla and Kandie Nelson. Kandie didn’t know she had a medical problem until the moment she wasn’t able to speak clearly. Now Kandie and her family are helping researchers learn more about the abnormally formed blood vessels that triggered her symptoms. Blood vessels in Kandie Nelson’s brain had become abnormally tangled and twisted around themselves. But for years, she didn’t know it. Until one day when she picked up the phone at work. “I was working at the front desk of a hotel, and I went to answer the phone, and it came out, ‘Blah, blah, blah.’ I couldn’t talk,” she says. Numbness in her hands and feet came next. Then she fell to the ground. But the abnormalities do sometimes show themselves, as in Kandie’s situation. While Dr. Flemming says it’s unclear why some people develop cavernous malformations and which ones will trigger symptoms, one thing is becoming more certain. In about 2 out of 10 cases, there’s a family connection. And each affected family member usually has several cavernous malformations. That was the case for Kandie, along with her son, Bryan, and daughter, Kayla, who also were found to be living with cavernous malformations. Bryan’s was in his spinal cord and brain stem, and Kayla’s in the temporal lobe of her brain. Fortunately, each was in a location that allowed for safe surgical removal. This story originally appeared on Mayo Clinic News Network on January 7, 2019. 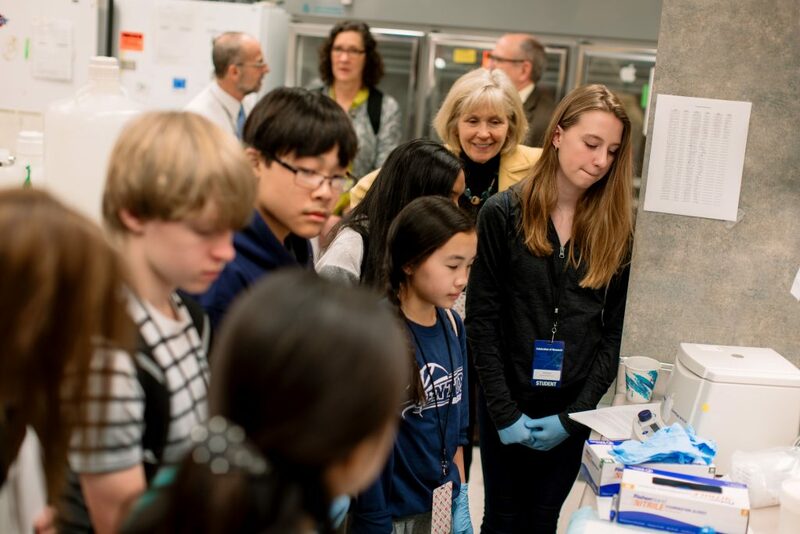 Rochester, Minnesota, area high school students will meet Mayo Clinic researchers and tour their laboratories at the upcoming 18th biennial Celebration of Research. The daylong conference on Tuesday, Feb. 26, enables students in grades 10–12 to learn about biomedical science and research careers. “We are excited to welcome students from our Minnesota communities, so they have an opportunity to learn more about career paths in research and how research is the future of medicine,” says conference co-chair, Jim Maher III, Ph.D., dean of Mayo Clinic Graduate School of Biomedical Sciences. Dr. Maher is the Bernard Pollack Professor of Biochemistry and Molecular Biology. This year’s theme will be “Fishing for Cures” — a nod to the important role of zebra fish in researching human conditions. Read more about the celebration in the news release.